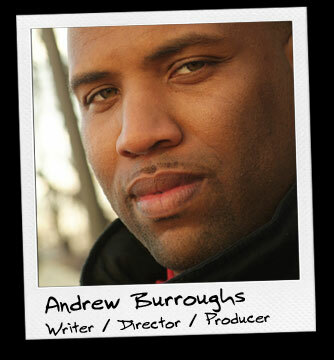 Born in East Orange, New Jersey, Andrew Burroughs always anticipated a trip to the movies. Now he is making them. He’s a working-class filmmaker devoted to providing ground-level opportunities for people to enter the film industry as the art more and more becomes global and participatory. Growing up in Plainfield, New Jersey, his interest in filmmaking piqued in high school. So he majored in Communications with a concentration in film production at William Paterson University in Wayne. He received a Bachelor's of Fine Arts degree in Communications with a concentration in film production. During his tenure at William Paterson University, Andrew fine-tuned his craft by shooting numerous short films. During that time, he became a winner of Kodak's "I Got It Made Sweepstakes." The prize was the company's donation of brand-new film stock to Andrew's latest project, ALGENY. The new film, his first feature, is also the first produced by Green Glass Films, a full-fledged film production company he founded in 2004.